Berkeley Arts + Design spans the entire UC Berkeley campus in the form of more than 28 programs, 15 centers, 17 experience-based spaces, and 80 student clubs to join. 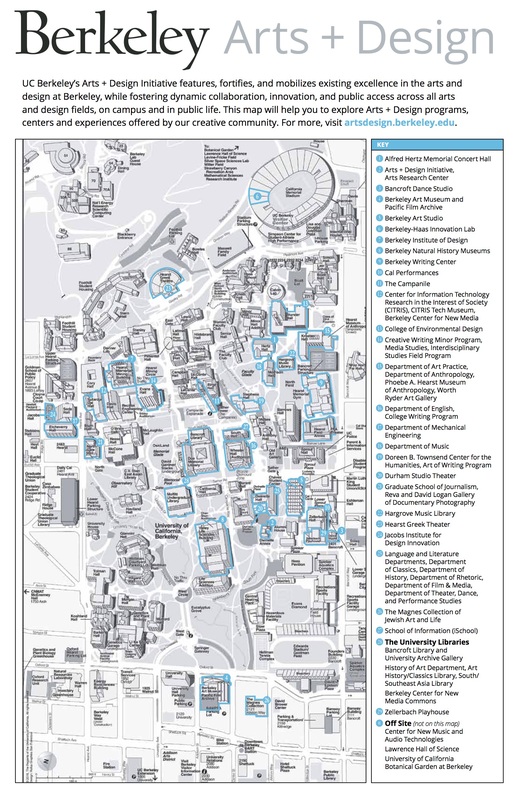 Download the map below and visit the many programs that make up Berkeley Arts + Design by visiting "Programs" on this website. Download the Arts + Design map here. Tour the Arts + Design Campus! In August 2017, Berkeley Arts + Design took over the UC Berkeley official snapchat account to give students a tour of the creative campus! Tour life in visual arts, performing arts, literature, film/media and design!